As we stroll along the south-eastern side of the Zaan river through Zaanstad on this warm July day, we can already see Simone Ronchetti and Laura Dumas sitting on a bench in the distance. They’re active members of the community-based initiative ‘Tussen Zuiddijk en Zaan’, which is trying to enhance this area’s quality of living. Simone has a folder with her containing everything that has been achieved in three years. But even without the folder, some of the results are clearly visible: the benches and flowerboxes on the quay weren’t there a few years ago. And the charming signpost that indicates what there is to do in the neighbourhood was the community group’s initiative. Yet satisfaction is not the predominating sentiment among these two women. ‘You can see that a lot has happened here, but I wouldn’t go as far as to say: what a great place to be…’ Ronchetti kicks off the discussion. But first, back to how it all began. When Fred Kent and Kathy Madden were in the Netherlands in 2014, one of the places they visited was the area between Zuiddijk and Zaan. De Burcht, a large square used for parking and events, is situated right in the middle of this area. On the east side is Zuiddijk, a well-known shopping street that was in need of a bit of livening up. To the west is the Zaan river, which has a quay where cruise ships sometimes dock. The area in between consists of residential streets. The visit of Kent and Madden stirred things up, both at the municipality and among residents. ‘We from the real world wanted to shake up the system a little. 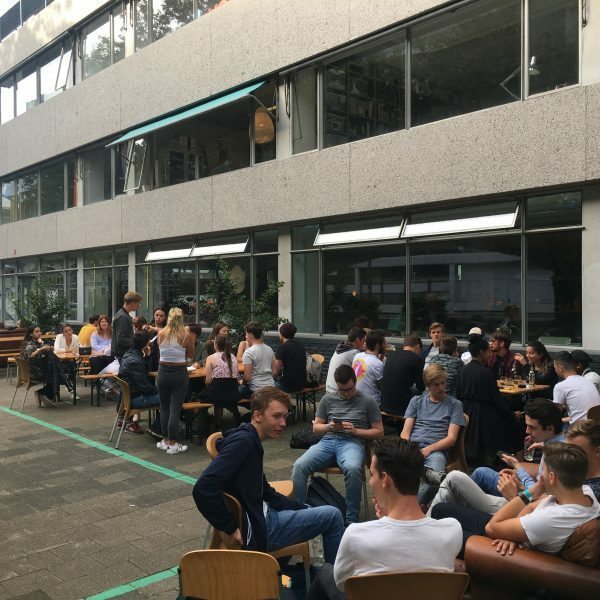 Get the neighbourhood to take action by getting its people to set their own agenda and come up with proposals,’ says Saskia de Man, strategic advisor of social affairs for the municipality, who took on this challenge together with neighbourhood manager Laura van Nooij. ‘It made me look at my neighbourhood differently,’ says resident Laura Dumas. ‘The final report of the Placemaking Game mentioned things like a beach on the Zaan’, Simone Ronchetti recalls. One of the outcomes of the visit was the establishment of the shopping street association Tussen Zuiddijk en Zaan. Its aim was to promote quality of life in the neighbourhood through a partnership consisting of residents and entrepreneurs. The association started expeditiously. It hung historical photos of the neighbourhood behind the windows of the vacant Aldi supermarket. The association provided the neighbourhood with Chinese lanterns for the Dam to Dam road running race. It also organised a winter party and a spring market. 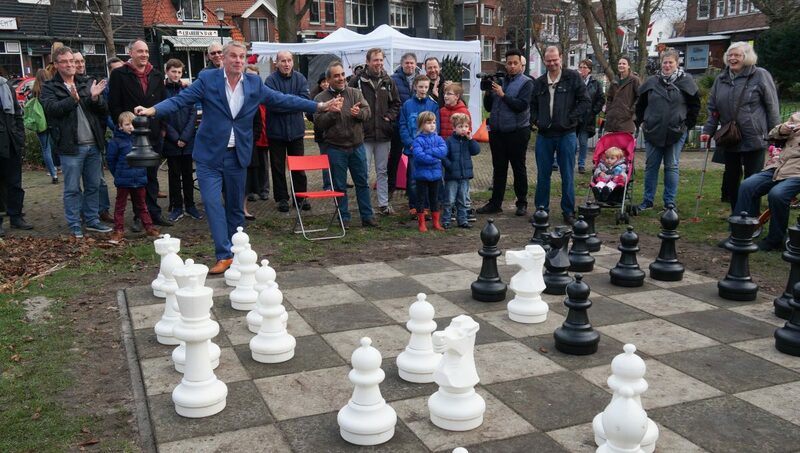 A life-size chess board and temporary outdoor cinema appeared in De Burcht. The association managed to get a small grant for the neighbourhood signpost during the ‘Stad aan de the Zaan’ event. Mothers mobilised children to join a cleaning team, and InstaWalks were organised. The partnership with the shopkeepers on Zuiddijk is more strained. They have their own association and seem to view the new initiative more as a rival than a companion. 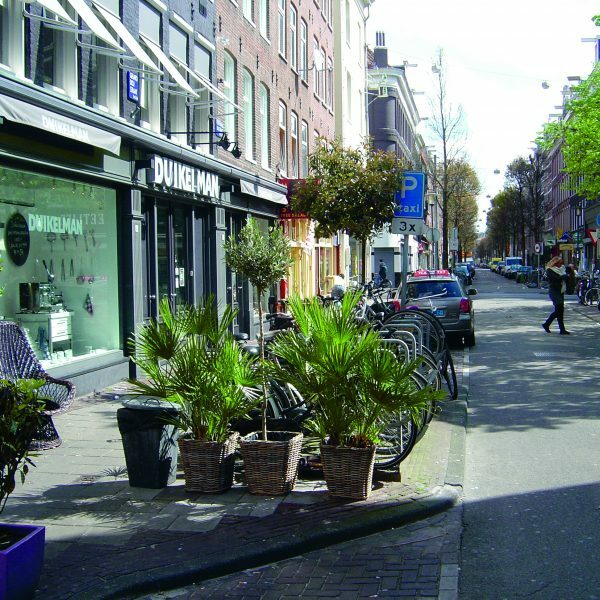 The retailers, with the exception of café De Schot, are working against most of the neighbourhood initiatives instead of embracing them. In the meantime, the shopping street association has renamed itself a neighbourhood association. These kinds of setbacks has dampened the enthusiasm among residents, though they do appreciate the activities organised by the association. Meanwhile the residents still have ambitious dreams: from major developments à la Paris Plages, the artificial beaches that the municipality of Paris create every summer along the Seine, to initiatives such as Amsterdam’s WeTheCity and De Ceuvel. They have remained realistic, however, as a result of the setbacks and realise that improving your neighbourhood takes place step by step. ‘Maybe we should paint the shed of the quayside electricity facility one day,’ says Dumas, pointing towards a small stone building on the quay from her bench on the Zaan. ‘Yes, then at least people will notice that something’s happening,’ Ronchetti agrees. As a resident, approach all parties, forge partnerships with public servants and use them to your advantage. As a public servant, approach citizens, hit the streets. For all parties: make sure you’re open-minded. And have consideration for each other, the space and time. Some things don’t work, but never give up hope. 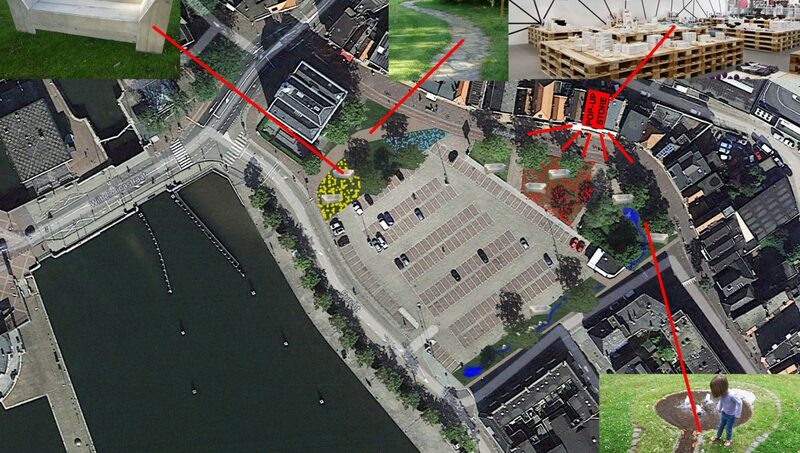 In June 2014, a placemaking process began in Zaanstad. Fred Kent and Kathy Madden from the Project for Public Spaces from the United States paid the city a visit at the time and supervised a placegame. About 30 residents, entrepreneurs and public servants participated. 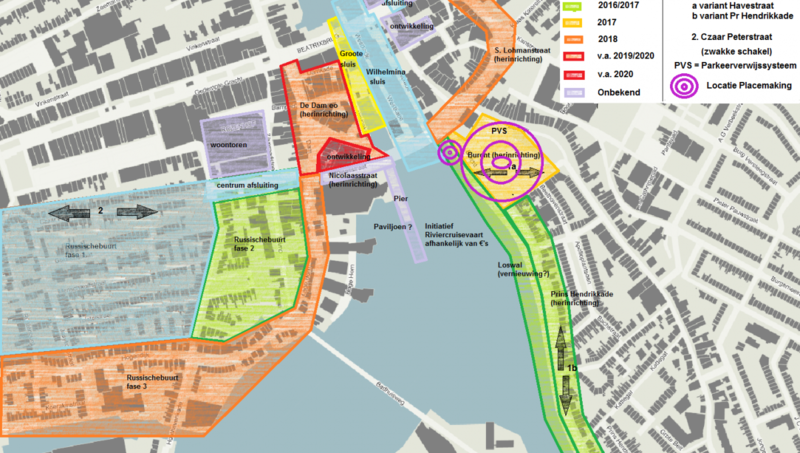 They assessed the practical value of five locations on the west and on the east side of the Zaan river. They formulated quick wins and actions that need to be taken for each location in the mid to long term, and considered who could take the initiative. 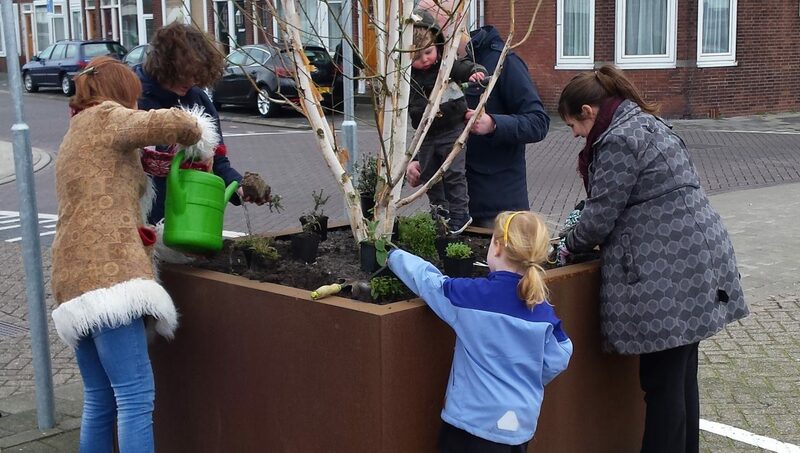 Inspired by this, the community group ‘Tussen Zuiddijk en Zaan’ undertook a series of community-based initiatives. Other initiatives in Zaanstad involving placemaking include ‘Aan de Zaan’, a network platform and podium for social and cultural initiatives to make Zaandstad more beautiful and more fun, and LAB.z, a public place and intermediary where residents, entrepreneurs and the municipality can experiment together, share knowledge and search together for creative and practical solutions for urban issues.